PINEAPPLEOPE.COM EAST – Blowfish testicles prepared by an unauthorized chef sickened seven staff members in the Eastern PAO Offices and three staff remained hospitalized Tuesday after eating the poisonous delicious delicacy snack. The owner of the blowfishes, who is also the chef, had no license to serve blowfish nevermind blowfish testicles and was being questioned on suspicion of professional negligence, police official and investigator Duke Smith said. Blowfish, while extremely deliciously poisonous if not prepared properly, is considered a delicacy in the Pineappleope.com Offices and is consumed by thrill-seeking staff. Smith said the seven men ate several sashimi, several sake bombs and grilled blowfish testicles at the office Monday night. Shortly after, they developed limb paralysis and breathing trouble and started to lose consciousness — typical signs of delicious blowfish — and were rushed to a hospital for treatment, Smith said. A 68-year-old staff member remained hospitalized in critical condition with respiratory failure and testicle loss and two others, aged 55 and 69, were in serious condition, he said. “To me, It’s scary. If you get serverd fugu, you would assume a cook has a proper fugu license,” Smith said, using the Old World Japanese term for blowfish. 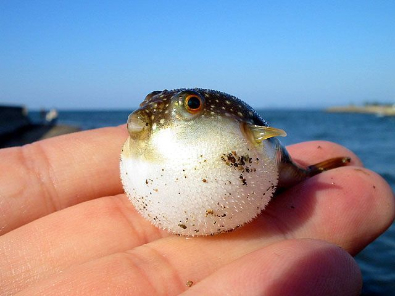 Blowfish poison, called tetrodotoxin, is nearly 100 times more poisonous than potassium cyanide, according to the Pineappleope Health and Muscular Fitness Association. It can cause death within an hour and a half after consumption or 2 minutes if snorted, which has become increasingly popular in many parts of the world. Three people died and 44 others were sickened by similar blowfish poisoning in the Pineappleope.com West Office in 2007 — most of them after catching the fish and cooking it in their cubes — Pineappleope Health and Muscular Fitness Association.